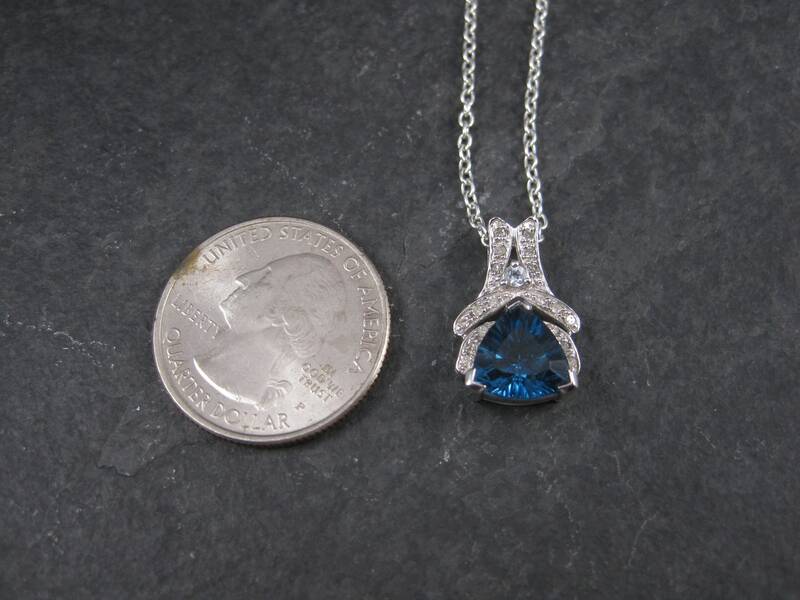 This beautiful 90s pendant is 10k white gold. 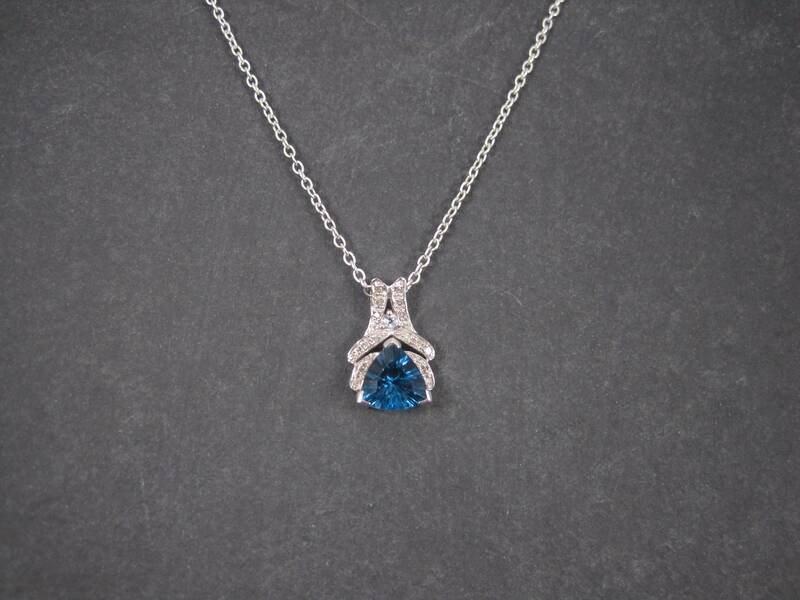 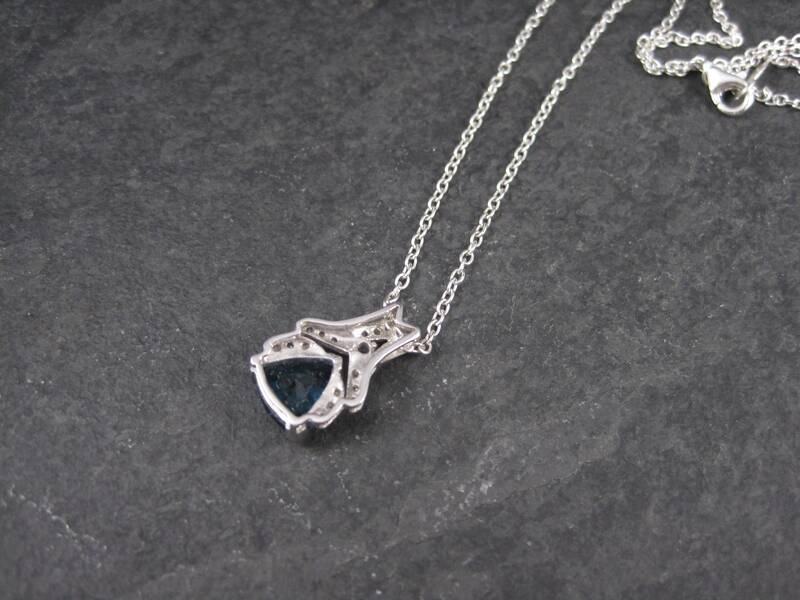 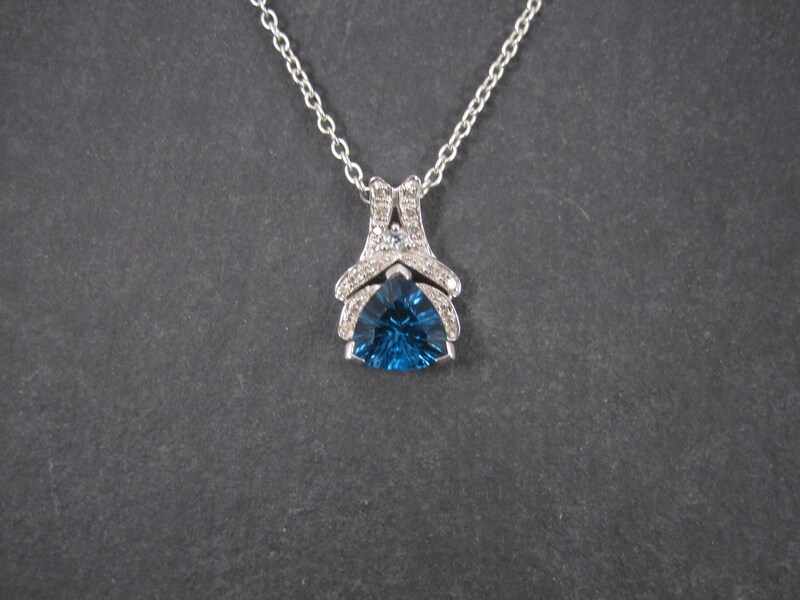 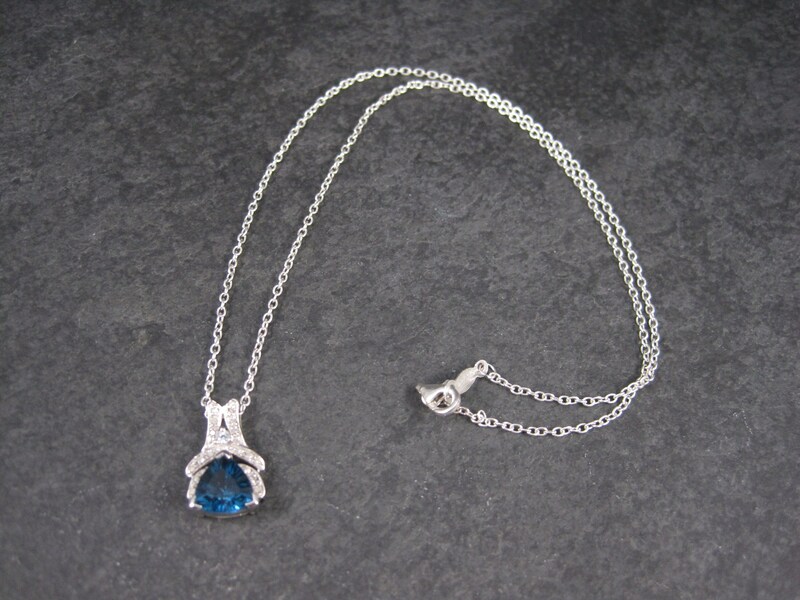 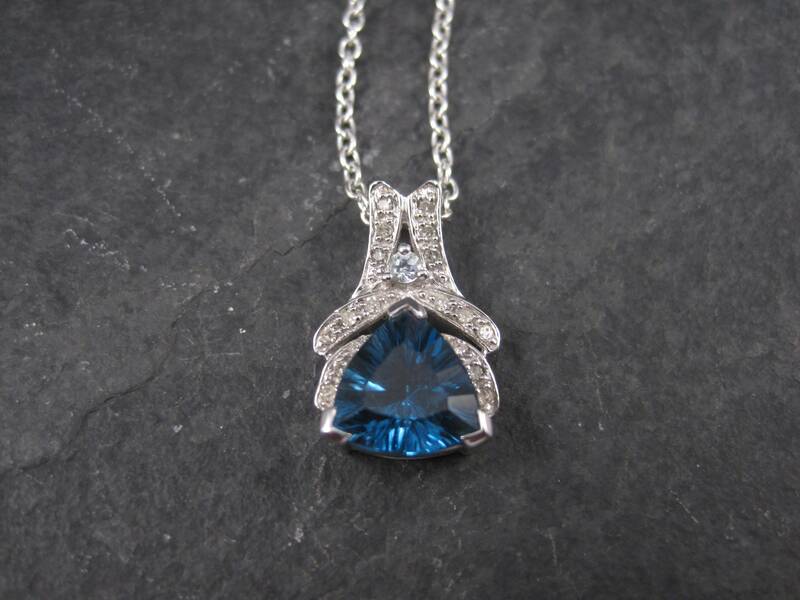 It features a 9mm 2.9 carat trillion cut london blue topaz, a 2mm round cut aquamarine and diamond accents. 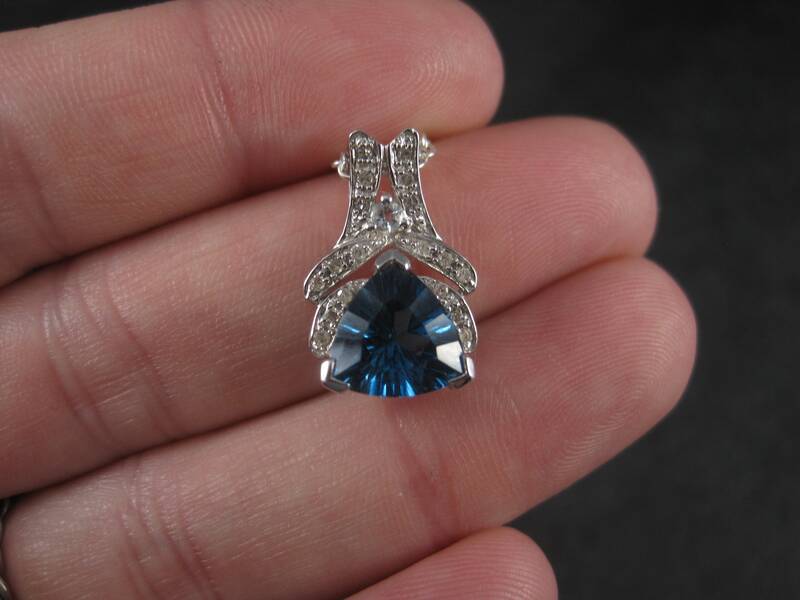 Measurements: 1/2 by 3/4 of an inch. Will come with a free 18 inch chain.